Conditions: Water levels are rising and water temps are too! Water clarity it very good. Bait the fish are feeding on: Shrimp, crabs, pinfish, glass minnows and sardines. Some whitebait (threadfin Herring and scaled sardines). Target species right now: Redfish, Sea Trout, Snook, Ladyfish, Jack Crevalle, Spanish Mackerel. 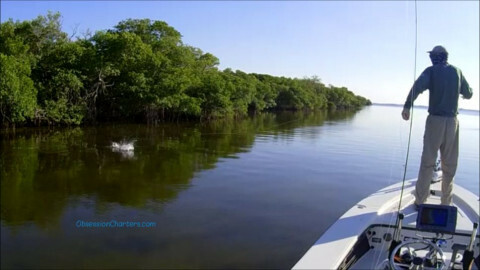 There are a few tarpon showing up too! 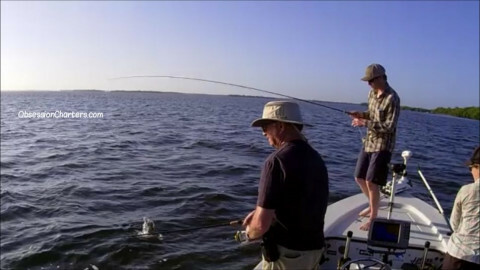 Fishing tactics: Incoming tides – work the edges of the flats early then move to the mangroves as the water rises. 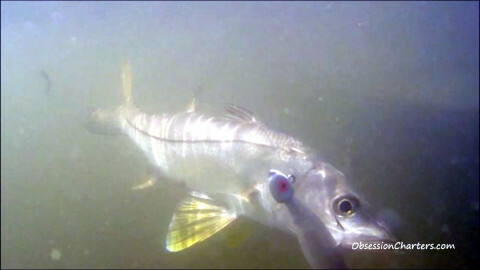 The snook and reds will be up in the shadows with this 90* heat so your presentations need it tight to the mangroves. My fly fishing tip of the week: Experiment with tightening and opening your loops when casting. Different flies need different loops to turn over properly. If the loops are too tight the fly lands with a splash – If the loops are too open, the leader will not turn over. Loop size is a result of the energy you put into the casting stroke. My spin fishing tip of the week: Suspending lures will be very effective for this coming week's conditions. Put them into the shadow line of the mangroves and fish them slowly. 7 day outlook: Hot with excellent morning tides all week. We'll have some southerly wind to contend with but with water temps in the high 70s the fishing should be very good.